Extensive 16GB built-in memory and a chance to use 32GB memory card allow for storing thousands of maps. The device has voice recognition and voice guidance that are available in more than 30 languages. Certain features require some time to get used to in order to utilise them fast enough. Being one of the best GPS navigation systems represented on the market, the TomTom GO620 will become your irreplaceable assistant on the road. Compatible with modern technologies like Siri and Google Now, it will help you find any route fast and effortlessly. Lifetime map updates give you a chance to download new maps for free as long as your TomTom Start 25M operates. 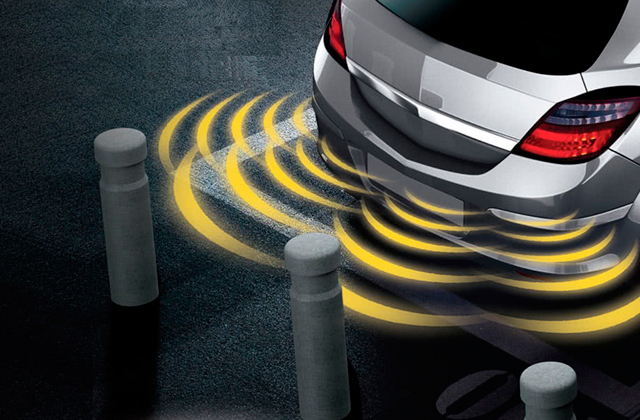 IQ routes, lane guidance, and parking assist options considerably extend the functionality of the device. User's guide could be more informative. 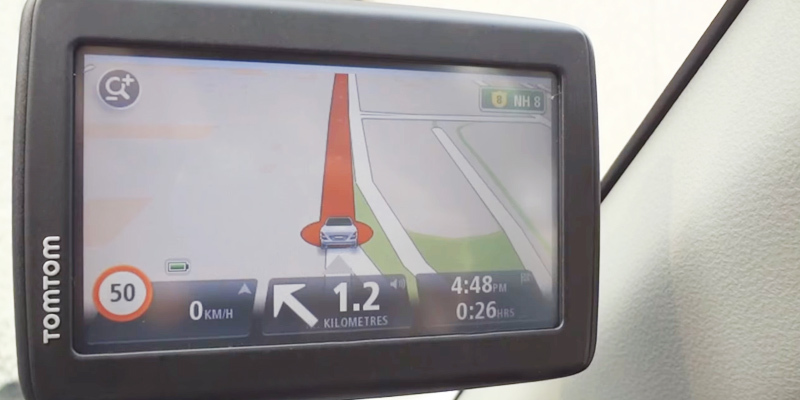 This TomTom navigator has all the features you'd expect a modern GPS device to have. 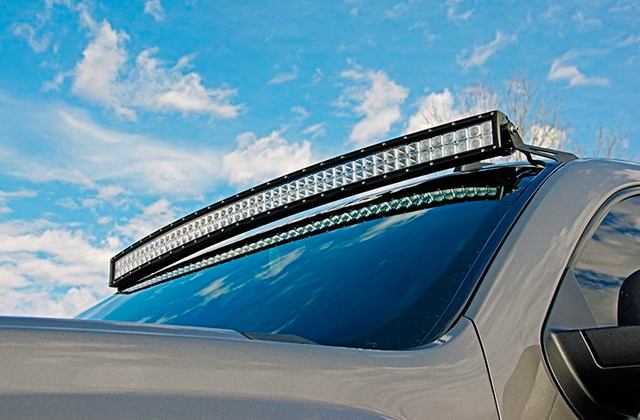 In addition to the detailed maps and precise route guidance, this model features effortless usability thanks to the flip mount used for different mounting options. The high 800x480 resolution provides a detailed depiction of maps. The ability to update maps via Wi-Fi rids you of the necessity to mess with wires. Voice navigation available in several languages will make your trips more comfortable. The touchscreen response time is slower than one might expect. 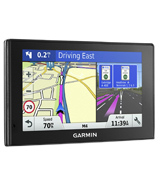 Take the Garmin Drive 51LMT-S with you on the long trips if you wish to make them pleasant and safe. And thanks to points of interest rated by TripAdvisor, you'll be able to choose the best places to stay overnight, have a snack, or refuel your car. 2D and 3D views of maps allow you to easily choose the one that suits you best. Route optimisation option offers you the shortest and the least loaded routes to get to your point of destination. The pedestrian mode is available as well. This model might be inconvenient to use in a small car. Thanks to the different profiles (car, truck, pedestrian) available, the Navpal navigation system will find its place on any vehicle. If you decide to use this satnav in a truck, you'll be guided to your destination avoiding weight and length restrictions. Driver alerts such as speed changes, sharp curves, railroad crossings, and fatigue alerts make your trips with the Garmin 50LM not only convenient but also safe. 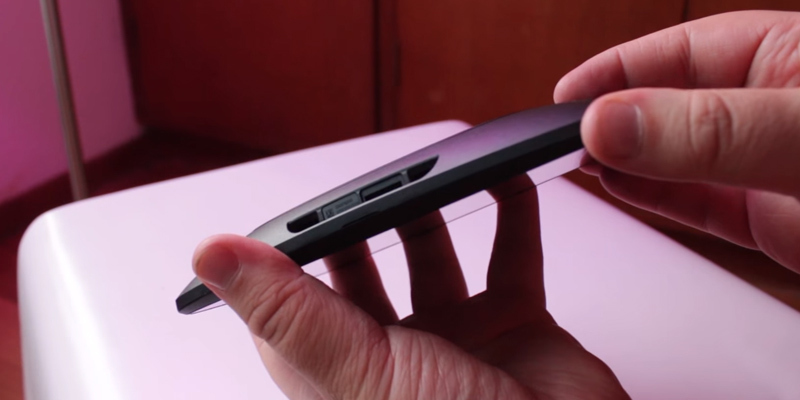 The dual-orientation screen allows you to set the device either vertically or horizontally. Some buyers find this model a bit overpriced. 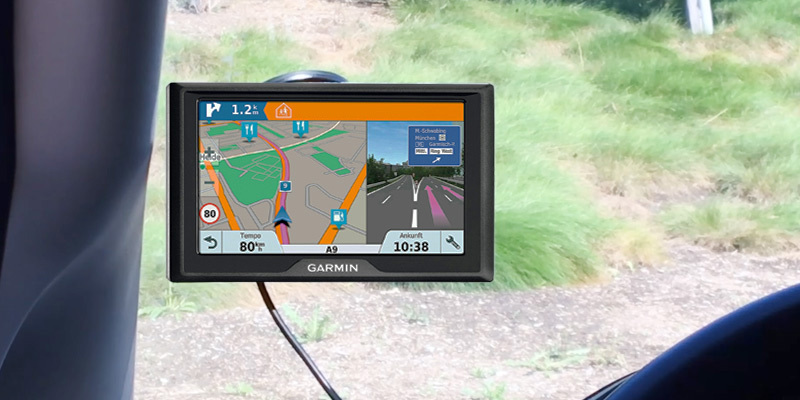 Garmin Drive Smart 50LM is all about the precision of GPS data and convenience of use. 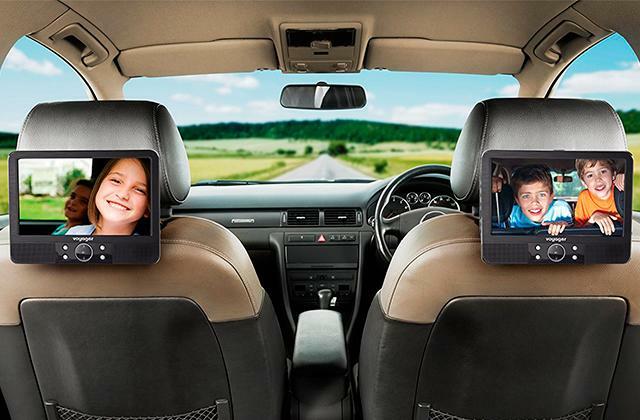 Boasting all the features you would want from a navigator, this gadget can also serve as a smartphone showing incoming calls and texts on the screen. 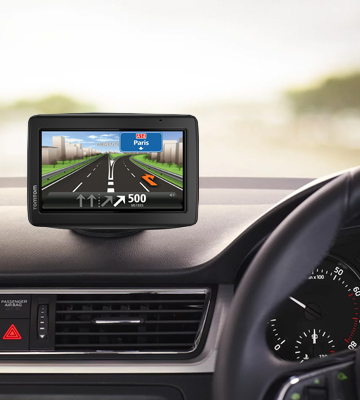 Whether you often travel within the United Kingdom or want to see the world, you’ll hardly go far without a good car navigation system and we recommend you to pay attention to the TomTom Go 620. In comparison with previous TomTom models, this one can boast better functionality and faster operation to make its use more convenient. Let’s start with the fact that this intelligent navigation system knows all worldwide routes so that you can feel confident on any road, be it U.S.A., Canada, or Europe. What is more, you get lifetime updates of all these maps so you can be certain that you go the right way right after you buy the Go 620 model as well as after several years of use. All updates on the TomTom Go 620 are available via Wi-Fi so there’s no need for you to spend time at your computer and deal with wires every time you need to refresh the data on your GPS device. Lifetime speed cameras are another option that will be of great importance when you travel abroad and will prevent you from breaking the speed laws in other countries. Besides being helpful when you travel abroad, this satellite navigation system also works great in your region. For example, it learns your driving habits, memorizes the most frequent routes, and asks where you want to go every time you turn the gadget on. To always have the most popular routes at hand and be aware of traffic situation there, you can use My Places option. On top of that, this navigation system shows you points of interest, for example, petrol stations, no matter where you travel, be it your country or a foreign one. 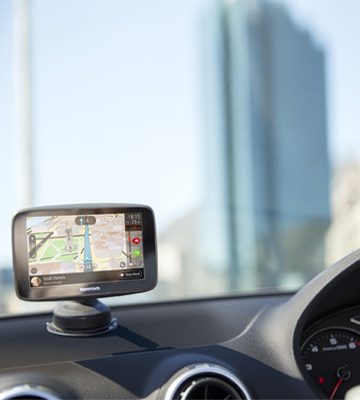 One more feature that makes the TomTom Go 620 stand out from the previous models of the manufacturer and its rivals of other brands is Siri and Google Now compatibility. All you need to do to activate one of these options and talk to your personal assistant is tap a corresponding button on your gadget. In addition to great GPS performance, the TomTom Go 620 can fulfill some of your smartphone functions allowing you to prolong your phone’s battery life. Thus, you’ll be glad to find out that hands-free calling and smartphone messages vocalisation options are available in TomTom navigation system. Just connect the two gadgets via Bluetooth and you’ll be able to communicate via a GPS navigator (thanks to the built-in speakers and a microphone). 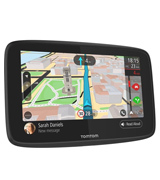 If you’re going to use your navigator to listen to incoming messages, more than 30 available languages supported by this TomTom model will come to your liking. These very functions allow you to keep in touch with the people that are important to you and drive safely at the same time. Don’t hesitate to choose the TomTom Go 620 and let your every trip be fast and free of traffic jams. 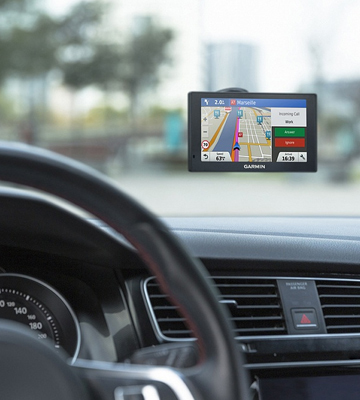 Are you looking for the best car navigation system to travel in Western Europe? If that is the case, we recommend you to consider the TomTom Start 25M. Including the maps of Austria, Belgium, Finland, France, Germany, Norway, and 18 more European countries, this GPS device will make your every trip unproblematic even if you are heading somewhere for the first time. 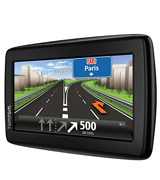 We feel the need to mention that just like most TomTom navigation systems, this model boasts lifetime map updates. The first feature that makes travelling with this gadget a proverbial walk in the park is the IQ routes option which not only provides you with the distance you need to cover to get where you want but also calculates the approximate time you’ll spend on the road. Another assistant on your trip is lane guidance function that tells you which path to take to get to your point of destination without getting lost. One more handy option the manufacturer of the TomTom Start 25M offers you is parking assist. Thanks to this very feature, you’ll always know where the nearest parking area is if you’re travelling in unfamiliar places. Yet, if you mostly use your TomTom device in your town/city, you can adjust pre-set maps to your own needs. Thus, you can mark the places you visit more frequently to control traffic on the road and to choose the fastest route with the maximum convenience. Finally, don’t overlook the speed cameras option that shows you speed limits in different countries and cities to help you avoid speeding fines. 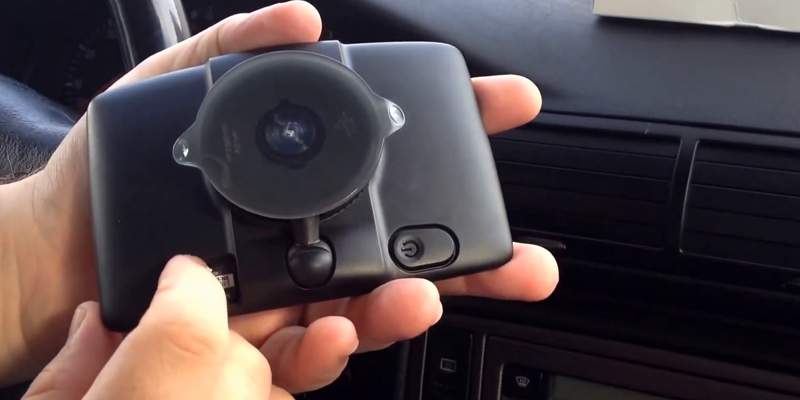 Being a portable model, the TomTom Start 25M is easy to install in your car within seconds. 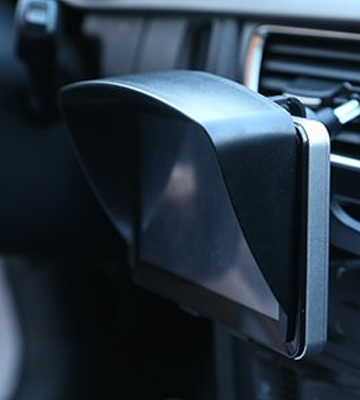 This model comes with an integrated mount that has a flip option, thus, you can attach the navigator either to a windscreen or to a dashboard. The only thing you want to keep in mind before installing the navigator is that both the suction cup of the mount and a surface where you’re going to place it should be clean and dry. there, you can choose your device and download the support application that will notify you when your device can be updated. Please note that since the TomTom Start 25M isn’t a wireless model, you’ll need a USB cable in order to install it in a car and set-up on your computer. With the user in mind, the manufacturer has included it in the box so you can start using your TomTom satnav right after you unpack the box. 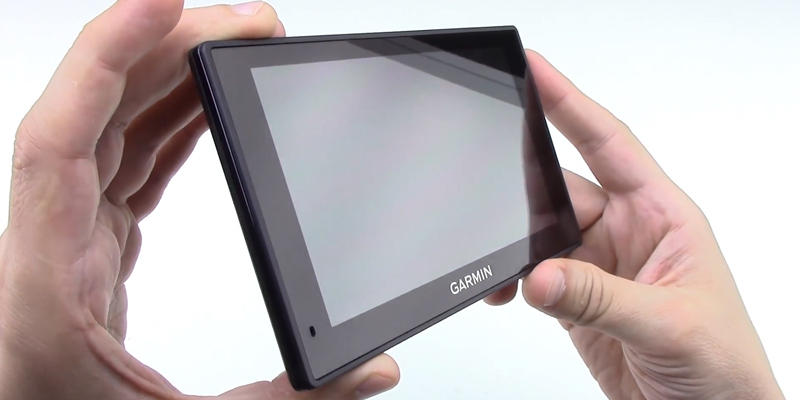 Garmin is not only about the latest navigation systems but also about style. Already at the first glance at the Garmin Drive 51LMT-S navigator, you’ll definitely notice its sleek metal casing that makes it look different from the majority of its rivals. The gadget has a 5-inch multi-touch screen with 800x480 pixels resolution that provides great quality of maps so that you are never confused with where you are. 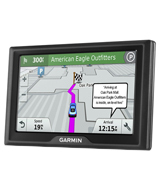 However, we are sure that aside from the nice look and detailed picture on the screen, you want your satellite navigation system to be functional and convenient to use, and the Garmin Drive 51LMT-S meets these requirements. First of all, let us point out that this GPS device provides you with full maps of Europe and their lifetime updates. Updating your maps is as easy as anything thanks to a built-in Wi-Fi option that allows you to get new maps without turning your PC on. Two more outstanding features of this navigator are live traffic and live parking options. Thanks to these very functions, you will always know which route to take in order not to get stuck in a traffic jam and how to park your car without the need to look for free parking space. Another benefit that deserves your attention is voice navigation option that rids you of the necessity to keep your eyes on the GPS screen all the time when you travel around an unfamiliar area. Just tell your gadget your point of destination and your smart Garmin Drive 51LMT-S will lead you there using convenient and clear instructions. One more feature you’d like your navigation system to possess is Bluetooth calling that allows you to pick up the phone while having your hands on the wheel, and it’s possible with this Garmin navigator. The last but not the least feature we’d like to mention is that the 51LMT-S offers you points of interest offered by the TripAdvisor. This option will be of great use for those who travel in a foreign city/country since you can see what hotels and restaurants are on your way, look at their rates, and choose the ones you like best. Paying attention to what is happening on the road is something that every individual needs to do, no matter if you're a driver or a pedestrian. With the Garmin Drive 51LMT-S in your car, you can be sure of your safety. The thing is that the navigation system informs you about the speed limit changes, sharp curves, railroad crossings, and gives other notifications that allow you to control the situation on the road with the maximum amount of precision. Incident notification is another feature that differs this Garmin navigator from its rivals. To activate this function, you need to choose a telephone number that will receive a message from you if an accident takes place. The aforementioned message is sent with a map and an exact place where the accident has happened. 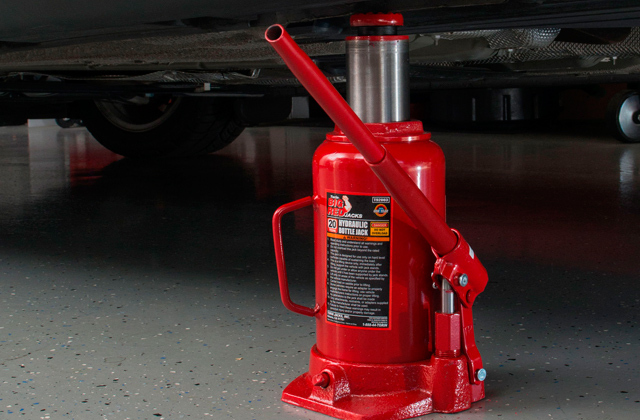 Please keep in mind that the message can be sent only to a Bluetooth-enabled smartphone. Although this option seems to be really convenient, we hope you’ll never have a chance to use it. So buy the Garmin Drive 51LMT-S and let your every trip be as safe as possible. The manufacturer of the Navpal GPS navigation system claims that you can use this gadget wherever you may end up needing it, be it in a car, a truck, on your bicycle, or during a walk in the park. Although the gadget isn’t compact in comparison with its counterparts (given the 7-inch size) and some users may find it not entirely convenient even in a small car, if you get used to it, this is one of the best options on the market in terms of the specifications. This satnav is a collection of pre-installed world maps that are updated automatically as long as your gadget operates properly. By the way, you can choose to watch the maps in 2D or 3D. In addition to the ability to travel all over the world with the Navpal navigation system, you’ll be pleased with route optimisation and the lane guidance options that are there to help you get to your point of destination in the shortest, easiest, and safest way. 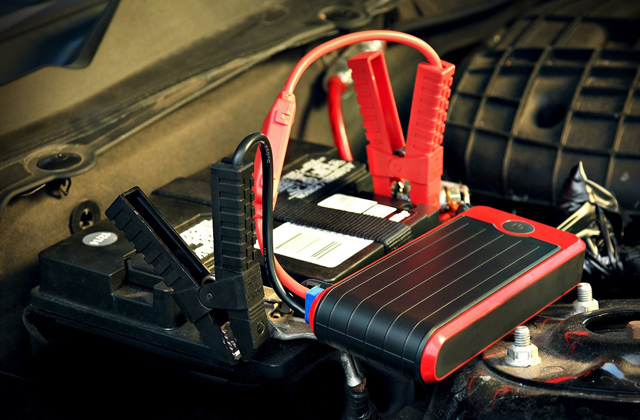 The gadget offers you points of interest in an area where you’re heading so that you know where you can stay overnight, have a snack, or refuel your car. And just like any decent navigation system, this one features voice navigation (available in numerous languages) to help you find the right way with the maximum amount of convenience. Your trip with the Navpal gadget can be not only informative and safe but also fun. It’s possible thanks to the multimedia support that allows you to listen to radio via your gadget. So, if you want to have smart and functional assistant on your trips, don’t hesitate to choose this easy-to-use, and what’s more important, wallet-friendly model. A storage pouch is a great accessory that helps you keep your device as good as a new when you don’t use it. Definitely, a package this full can serve as an additional reason for you to consider the Navpal model. Moreover, the price of all the stuff you get is quite reasonable. Paying approximately two times less than for the models from world-renowned brands, you’ll get a device that won’t fall short of your expectations. There’s virtually no need to mention that if you choose a Garmin product, you'll get a high-quality device that can easily impress you with the number of handy functions and features, and the 50LM navigation system is not an exception. This 5-inch model has a dual-orientation display that allows you to set the navigator in either a vertical or a horizontal position for your convenience. As for navigation options, the Garmin 50LM has all of them so you could feel confident on any route in your city or a foreign country. Besides thousands of precise and easy-to-read maps, the device provides you with handy tips that make your every trip safer and more convenient. Thanks to driver alerts, you’ll always know that you are driving the wrong way or when it’s time to decrease the speed since there are sharp curves or speed limit changes ahead. On top of that, the device also informs you when you’re getting close to red lights or speed cameras. Garmin also takes care of your safety telling you that you might want to take a break when you have been driving for several hours without stops. Plus, the device offers you points of interest where you could have a rest in a close proximity to you. 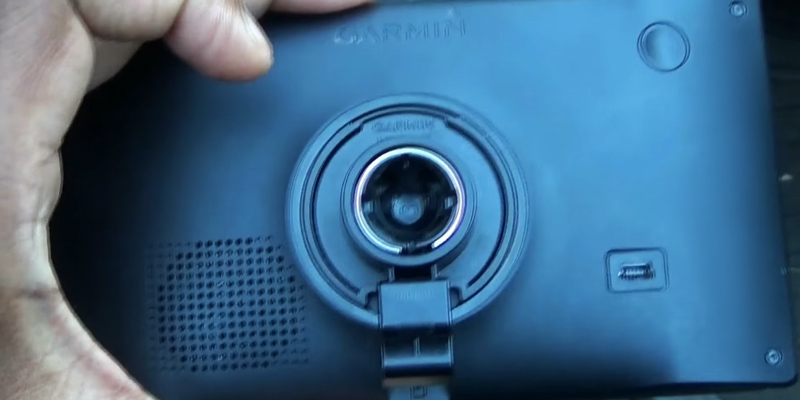 A chance to receive messages and calls on the device if you connect it to your smartphone via Bluetooth adds to the usability of this Garmin navigator. Just like most high-quality GPS navigators, the 50LM model has built-in speakers so you can use the voice guidance and tell your gadget directions aloud. Don’t leave the device inside your car when you make stops during your trips. Turn the device off, disassemble it from the mount, and take it with you – its size is convenient enough to fit in your pocket. These precautionary measures will save your device from theft. Everyone faced the situation when it was necessary to get from point A to point B, choosing the shortest and the most convenient route. Previously, this task was solved with the help of large paper maps. Firstly, you had to find your current geographic location on the map and only then calculate and pick your route. Yet, it was not very convenient since you had to keep track of the turnings and have at least some knowledge of topography. However, with the appearance of GPS (Global Positioning System) a problem with determining the location and finding a route has been successfully solved. Nowadays, advanced satellite navigation systems provide information not only about a route but also about all famous landmarks and public institutions that you might be interested in. 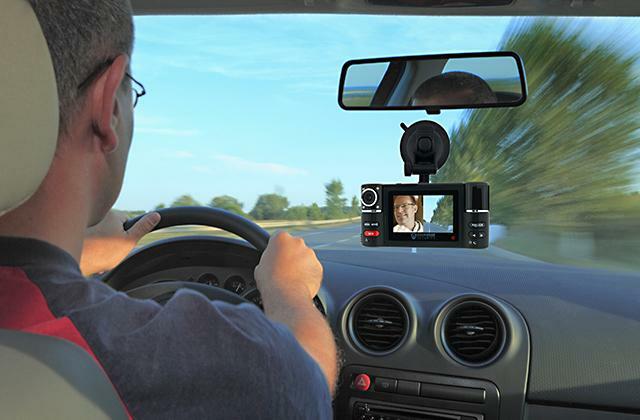 In this review, you will find top navigation systems currently available on the market. Read further to find the best car navigation system that will meet your requirements and suit your lifestyle. 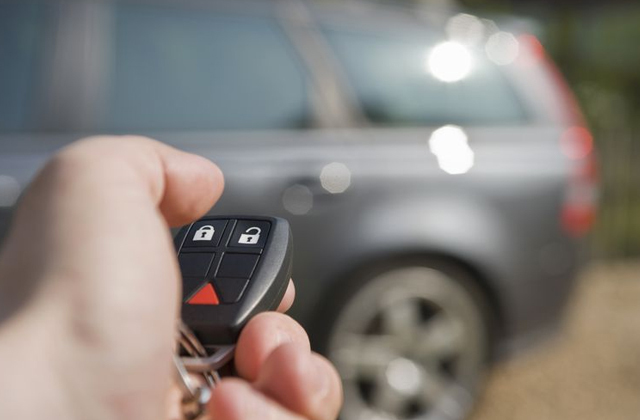 By the way, car owners may also be interested in purchasing car GPS trackers, which help keep track of your car in case of theft. When choosing a car GPS navigation, such features as the Type and the Screen require the most significant consideration as they give you an idea of how the device can be used. According to the type, GPS navigators are divided into portable and installable devices. Portable GPS navigators are traditional GPS units, which can be easily removed to carry around, or mount to another vehicle if needed. 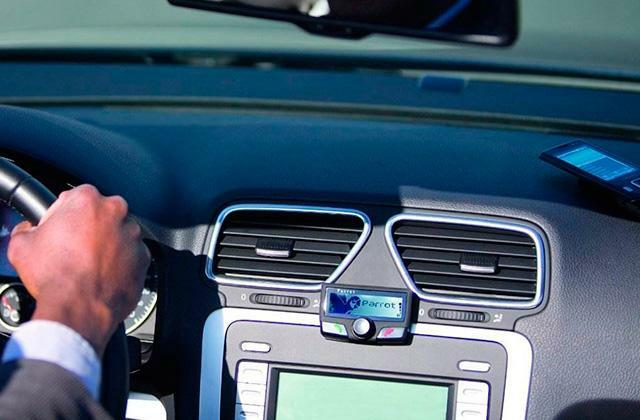 These GPS units are generally mounted inside the passenger compartment by means of a special suction cup attached to the dashboard, or the windshield. What is more, portable GPS navigators are powered from a cigarette lighter adapter via a micro USB cable. Although, a GPS navigation device features a built-in battery, which provides autonomous operation for some time. Regarding the installable GPS navigation devices, they are produced as traditional car radio tape recorders with GPS navigation and fitted with a center console with a radio slot. On the contrary, they are powered from the in-vehicle electric circuit. Accordingly, it's hardly possible to install a car GPS navigation system properly without the help of a specialist. Besides, these GPS navigation devices cannot be mounted to another vehicle. Also, GPS navigators can be classified into subtypes according to their screen resolution. For instance, GPS navigation devices with large screens (5" and more) are designed to be used in cars while GPS navigators with smaller screens (4" or less) can also be used for hiking and the devices with average screen sizes (from 4" to 5") are designed for both. It should also be mentioned that large-screen GPS navigators provide more readable information and higher image detail. Another important feature that should be considered is surely Maps and Navigation Software, including navigation apps, operating system, and map software packages. 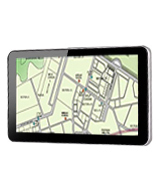 Typically, GPS navigation units are supplied with map software packages for proper operation. Therefore, even if you know exactly your current coordinates, it will hardly help navigate a route until it's loaded. For this very reason, before making a purchase, you should be aware of the features of standard maps and make sure they include all towns and districts you need. The final criterion you should bear in mind is the Functionality. Modern advanced GPS navigation systems come with a large number of extras. If you have an idea about additional features your device offers, it gives multiple opportunities for its use. Apart from navigation, the device can be used as the music/video/photo player. 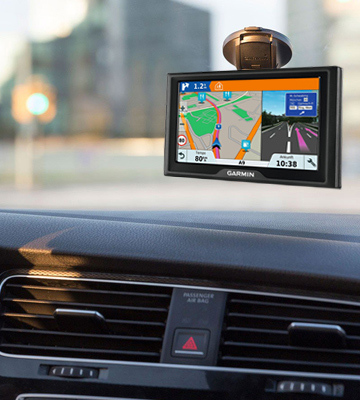 Usually, medium and high-class GPS navigators support all popular media formats (JPEG, MP3, AVI). This can be useful when you stuck in a massive traffic jam. You can listen to your favorite music or watch an interesting movie, whiling away some time with pleasure. 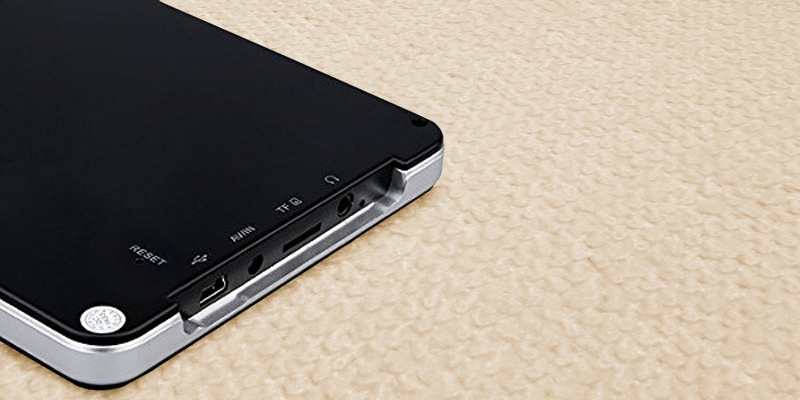 In fact, you can even upload movies on its microSD card. 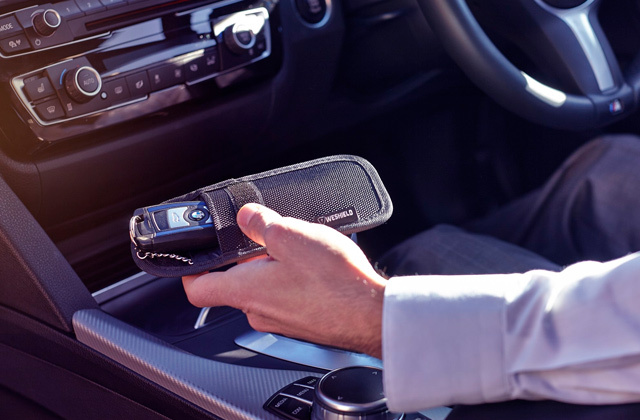 The majority of cutting-edge GPS navigation units are fitted with a standard USB port so that you are able to connect a USB flash drive to your device. Moreover, GPS navigators feature a built-in FM transmitter, which broadcasts audio to your car radio. Besides, some GPS devices are provided with backup cameras that display an image directly on the navigation screen. 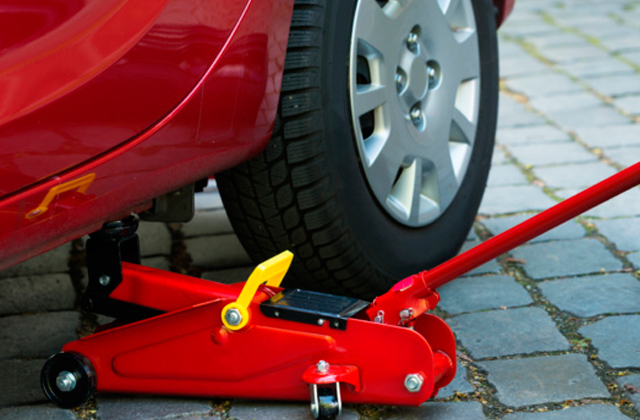 The importance of a backup camera cannot be overestimated since this handy feature makes parking on narrow streets much easier and more convenient. Even though your car navigator comes without a backup camera, you can buy it separately and easily install on your vehicle. However, make sure that your navigation system is equipped with a standard video input. 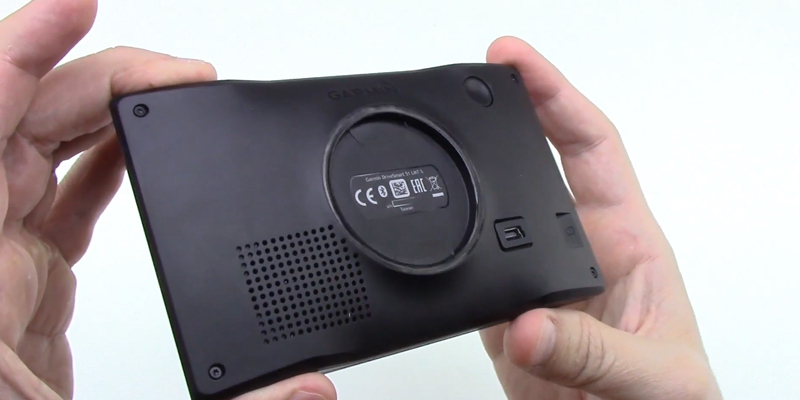 By the way, the device supports video cameras or portable DVD-players. Furthermore, some GPS navigators come with a Hands-free Calling function, which can be easily paired with your phone via Bluetooth wireless technology. 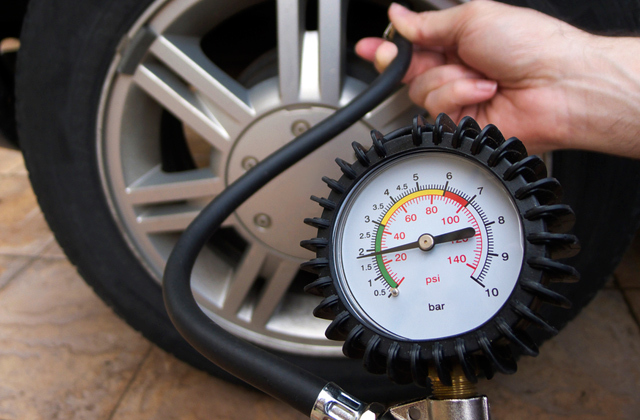 This function will be useful especially for those car owners who dislike using standard behind-the-ear (BTE) devices. The first prototypes of modern navigation systems were developed during the World War II. People have learned to identify positions of objects of interest a long time ago. However, if modern GPS systems are aimed at making human life easier, their invention during the World War II was a necessary measure to provide superiority over military adversaries. The first navigation systems were called GEE, LORAN, and Decca. GEE was developed in the United Kingdom and was used by Royal Air Force to provide safety of military operations during the night. The operation range of this system was 560 kilometres. LORAN means "long-range navigation" and it was yet another system developed during the World War II. Unlike the navigation system described above, LORAN was an American invention, yet, very similar in its operation method to the GEE system. The major difference between them was that LORAN had a longer operation range – up to 2400 kilometres. The Decca Navigator System was created in collaboration between the USA and the United Kingdom and used a different system to determine the position of necessary objects. Thanks to the appearance of these very gadgets and their further development, we’ve got modern electronic navigation systems that make our trips to the new places safer and easier. It took the first navigation systems more than 40 years to become available for civilian use. As it was already mentioned, the first GPS devices were created during the World War II for military purposes only. A long time after the war they were still used in the military sphere. Only in 1983, an American president Ronald Reagan gave an order to make GPS data available for civilian use. This decision was made after a tragedy when Korean flight entered Soviet airspace and was shot down by Soviet Union forces killing almost 300 people. Ever since then, airlines, ships, and other means of transportation started to use GPS data to navigate their route and prevent possible hazards. GPS gadgets are used not only to identify your position or show you the way. Any GPS system gets the information it transmits to your gadget from satellites. And every satellite has an atomic clock that shows the exact time. Once your GPS device connects to a satellite, it also gets information on a current time with the precision of 1/100 billion seconds. Thanks to this very feature, your GPS device, a gadget synchronized with it, or your smartphone (that gets information from satellites too, by the way) always show the right time. GPS and navigation systems will develop further. There’s no need to mention that every technology in the modern world is developing in order to become even better with time, and GPS is definitely one of them. Nowadays, there 24 American satellites on the Earth orbit that help us navigate necessary routes from almost any corner of the world. However, the USA scientists aren’t going to stop and plan to launch a new satellite by the end of 2020. What is more, other countries strive to develop their own satellite navigation systems. Thanks to this tendency, we’ll have the opportunity to use extremely precise navigation systems that will be able to guide us even though the narrowest streets of the smallest cities. 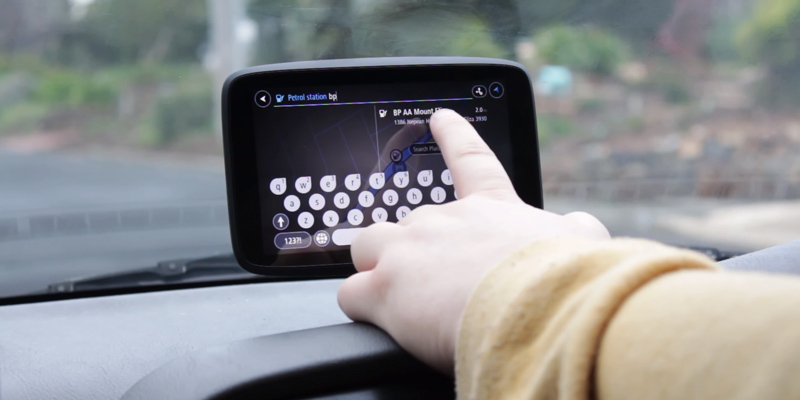 The development of GPS will also be more than useful for auto-pilot cars and accurate cell phone connection. Q: How do navigation systems work? A: Global Positioning Systems have built-in or external antennas that receive signals from satellites (usually several at a time) and analyse your location and your point of destination. Then (the process takes no more than a few seconds), your navigation system depicts the necessary information in a way familiar to you – on built-in maps on its screen. Q: Why might I need a navigation system with maps of numerous countries if I don’t travel abroad? A: Let’s start with the fact that modern navigation systems offer you a lot of maps on different continents so that you don’t have to buy a new gadget for a new country or pay for additional maps. Even if you don’t travel to foreign countries, having a GPS navigator comes in handy if you tend to drive a lot in your own city. Navigation systems can show you the exact maps as well as offer you the shortest routes and inform you about any traffic jams. You have to admit that knowing this information, even a trip to your office can become more efficient and pleasant. Additionally, GPS can help you learn the speed limits in different areas of your city and park your car effortlessly. Q: How do I tell my GPS navigator my point of destination? A: There is nothing difficult in telling your GPS navigator where you want to go because of a couple of reasons. First of all, modern navigation systems are made with a user in mind and have a user-friendly interface. Secondly, one GPS device can usually offer you several ways to search for your point of destination. The most common way is to simply select it from the list of countries, cities, and streets. Or, you can use a postcode search if your gadget supports this option. Finally, the latest navigation systems are compatible with Siri and Google Now services that can recognize voice commands so all you need to do to is tell your gadget where you want to go. Q: Why might I want to choose a navigation system with a voice guidance option? A: Voice guidance option can make your trip a bit more convenient since you won't have to look at the GPS screen distracting you from the road. Since a voice guidance option simply repeats the information you can see on the screen, it’s possible for you to follow your route listening to the smart guide. And if your navigation system can speak, it’s likely that it can also read your smartphone messages for some additional convenience. Q: What is the best double din navigation system? A: Before answering this question, let’s find out what a double din navigation system actually is. 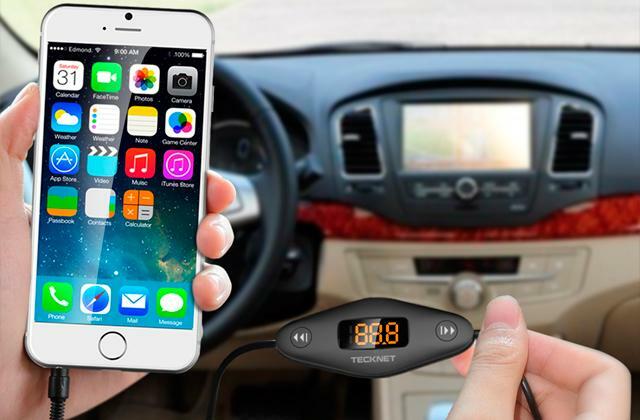 It is an in-dash gadget that can perform numerous functions, in other words, it is a mini computer in your car. As a rule, all double din systems are equipped with maps and can serve as navigation systems. But you can do much more with such a gadget. The majority of them can function as multimedia players, Internet browsers, organizers, etc. Some models come with built-in rear-view cameras that help you park your vehicle effortlessly. If you’re looking for the best double din navigation system, you want to pay attention to its processor, operating system, and a number of functions it can perform. 1. How to Choose the Best Car GPS Navigation. wikiHow. 2. Jeremy Laukkonen How to Choose Car GPS, Lifewire. October 19, 2016. 3. Dominic DeVito Portable GPS Navigator Buying Guide, Crutchfield. 4. GPS Buying Guide, Consumer Reports. August 2016. 5. Julia Eddington How to Choose a Navigation System for Your Car, quoted. October 11, 2016. 6. GPS Navigation Buying Guide, Abt. 7. Denis Gallagher Car GPS Navigation Buying Guide, Choice. October 5, 2017. 8. GPS Navigation Buying Guide, Harvey Norman.